Enjoy a short presentation about two comets heading this way and learn how to get ready to observe these rare heavenly sights. See a comet made right in front of your eyes! Astronomers think that everything we see in the universe makes up less than 4% of what actually is in the universe. How could this be? Is regular matter really such a small part of the universe? Newly discovered dark matter and dark energy are seriously mysterious things, however, experts are getting better at detecting and mapping both. What they are finding out is astonishing. These dark matter maps raise questions about the entire history of the universe, including how galaxies, stars, and planets formed in the first place. Dark energy may determine the fate of all matter, dark or otherwise, that exists. 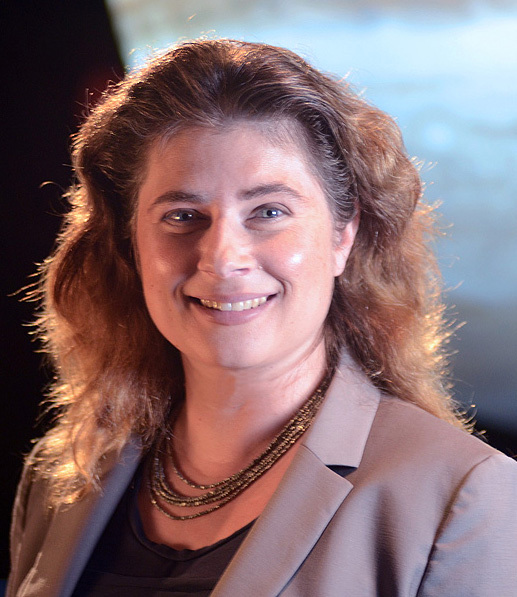 Michelle Thaller manages education and public outreach program at Goddard Spaceflight Center. She also writes a monthly science column for the Christian Science Monitor and has made numerous appearances on television, including KCET’s Life and Times and the Discovery Channel. Thaller was born in Waukesha, Wisconsin. She received a B.S. degree from Harvard in 1992 and a Ph.D. in astrophysics from Georgia State University in 1998. Her research interests have included hot stars, colliding stellar winds, binary star evolution and evolved stellar companions. When she is not out teaching the masses about infrared astronomy and SIRTF, Thaller may be seen renaissance dancing, singing and acting; painting; drawing; or writing about some of the many amazing stories in science.